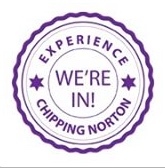 The Chipping Norton Mayor’s Charity Ball this year will be on Saturday 3 May, 7pm for 7.30pm, until midnight. There will be a four course meal and dancing to the CNS Allstars. Dress code is black tie/lounge suit. Tickets are £40 each until the end of March – from 1 April, they will be £45. Tickets can be bought from the town clerk (call 01608 642341 or visit the Guildhall). Proceeds from the Ball will go to Leukaemia Research and the Lawrence Home Nursing Team. This entry was posted in news and tagged ball, Chipping Norton Allstars, dance, Lawrence Home Nursing Team, Leukaemia Research, mayor. Bookmark the permalink.